The House Agriculture Committee has reported out its version of a new farm bill that will cut $16.5 billion over 10 years from funding of SNAP (Supplemental Nutrition Assistance Program), once known as food stamps. The cuts in the House bill exceed those in the Senate bill by $12 billion. Sixteen-and-a-half billion dollars over a decade amount to a whopping 2 percent cut in SNAP program expenditures, which last year alone came to $78 billion. At a time when we are running trillion-dollar annual federal budget deficits, it's hard to see a 2 percent cut in any large spending program as provocative. Particularly in a program like SNAP, where spending in 2011 was over 400 percent higher than in 2000. Yet, liberals are predictably ringing the alarm. Assistant House Democratic leader James Clyburn of South Carolina called the cuts "abominable," suggesting they will jeopardize nutrition of children and that it's all about protecting "the wealthy and the well to do." I recall these kinds of charges from the left when I worked on reforming welfare in 1995 and 1996. Those reforms, signed into law by President Bill Clinton, were far more sweeping than 2 percent cuts. Not only did doomsday predictions not occur, but welfare rolls were dramatically reduced -- not by casting anyone into the street, but by young women on welfare going to work. If cutting back on SNAP spending is about protecting "the wealthy," as Clyburn would have us believe, why do big corporations such as Pepsi, Coca Cola, Kraft Foods and Kroger support and lobby for the program, as Time magazine recently reported? It's because government-spending programs, even if initiated with the best of intentions, wind up being about interests, not efficiency or compassion. According to the Congressional Budget Office, 18 million Americans received SNAP benefits in 2000. By 2011, this had grown to 45 million, one in seven Americans. Liberals tells us that this program's mind-boggling growth is explained by our foundering economy. But, as Republican Sen. Jeff Sessions of Alabama points out, spending on this program increased 100 percent from 2001 to 2006, a period over which there was no increase in the rate of unemployment. From 2007 to 2011, spending increased 135 percent. But CBO attributes only about 65 percent of the dramatic growth in program spending and the number of recipients to the recession. Here's what else has happened: It has become increasingly easy to qualify for SNAP benefits, the government has been spending more taxpayer funds promoting the program, and the stigma of SNAP, food stamps, being perceived as a welfare program has disappeared. A New York Times article in 2010 carried the headline, "Once Stigmatized, Food Stamps Find Acceptance." The article notes posters in New York City announcing "Applying for food stamps is easier than ever" and quotes Eric Bost, head of the program under President George W. Bush, saying, "I assure you, food stamps is not welfare." According to CBO, three-fourths of recipients are "categorically eligible," which means they automatically qualify by virtue of participating in some other federal or state welfare program. They need not be receiving cash benefits from these programs. Simply having received an information pamphlet can be enough. At one time, recipients received their food-stamp benefits in dollar-denominated paper vouchers presented at the cash register. Now benefits come on a sharp-looking electronic debit card like any credit or debit card. And the fact that SNAP funds are provided by the federal government, but administered and spent by the states, is a proven formula, as in Medicaid, for undisciplined spending growth. 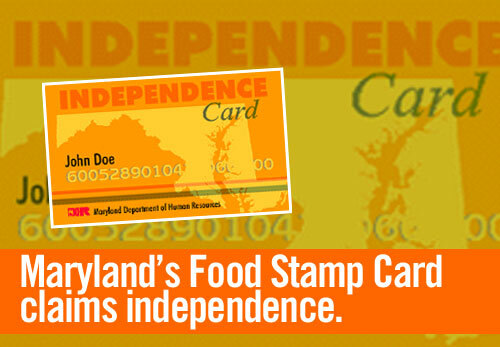 Sadly, our nation has become a food-stamp plantation. The most compassionate thing that can be done today is exactly what is not happening: economic growth, job creation and getting folks to work. The path to this end is less government, not more.